Also known as membrane valves, diaphragm valves obviously cannot do without a properly working diaphragm to control the sprinkler system. 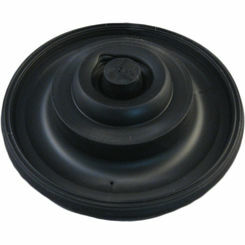 At PlumbersStock, we have a large selection of sprinkler valve diaphragms to choose from. 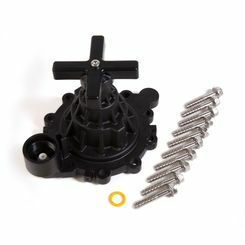 No matter what size or style you are looking for you will be sure to find the replacement sprinkler valve part here. 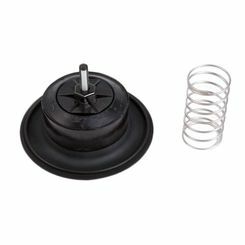 We have everything you need to repair your sprinkler valve. 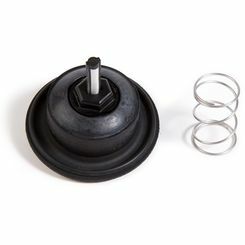 What Is a Valve Diaphragm? A sprinkler valve has two pipes connected to it. One of the pipes is called the inlet pipe and the other pipe is called the outlet pipe. The inlet pipe is designed to bring water in from the water supply. 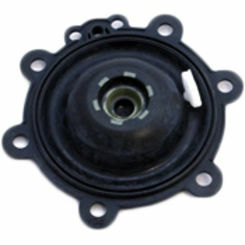 The inlet pipe ends in the middle of the valve and is stopped with a device called a diaphragm. 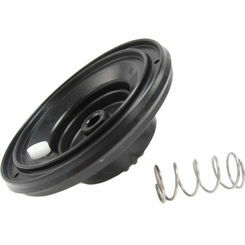 The diaphragm is held in place with a rod and spring that opens when the solenoid is activated. When a solenoid is activated it produces pressure in the valve which causes the diaphragm to open. 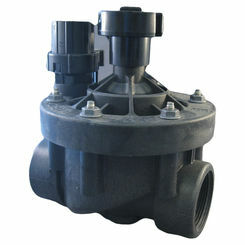 A sprinkler valve diaphragm can open and close depending on which direction the solenoid is activated. Without a proper working diaphragm your water will either constantly continue flowing through your pipes or make it so no water passes through the pipes at all. This can either result in a huge water bill, or yellow dry grass. 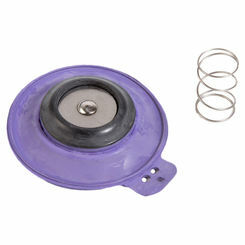 This is why a proper working diaphragm is so very important. It keeps your lawn looking nice and your sprinkler system working perfectly. We know just how important the diaphragm is to the sprinkler valve. 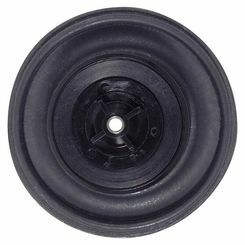 On our site, you will find a large selection of diaphragms to choose from to keep your sprinkler system performing at its very best. 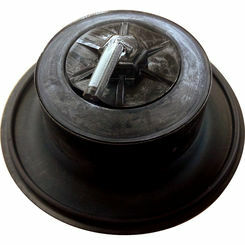 All of our sprinkler valve diaphragms are made with quality products that are built to last for a long period of time. You will not have to worry about your parts failing you in a time of need and definitely won't have to worry about getting ripped off. 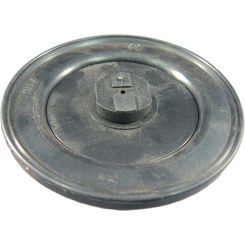 Diaphragms are inexpensive and easy to install. 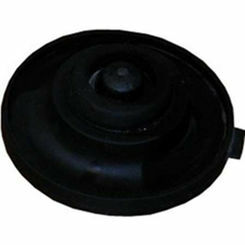 If you are looking for a replacement sprinkler valve diaphragm or other valve parts, you will find everything you need here.  At PlumbersStock, our main focus is providing our customers with products they can count on. We feel that the diaphragms we have to offer not only do that, but they can also do so much more! 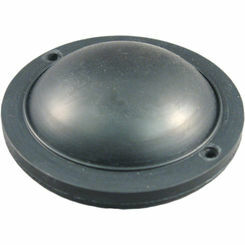 Check out our site for sprinkler system parts.